We can make either a ring or a pendant with this beautiful natural sapphire and colorless diamond combination. The design could be for a man or woman. 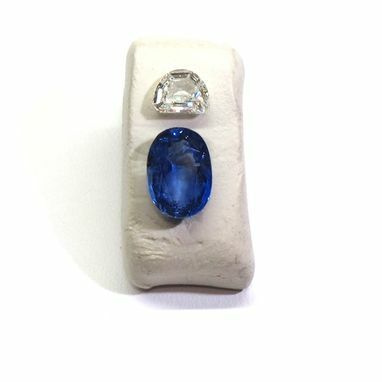 We will work with you to design a mount or setting that fits with the personal style of the wearer. 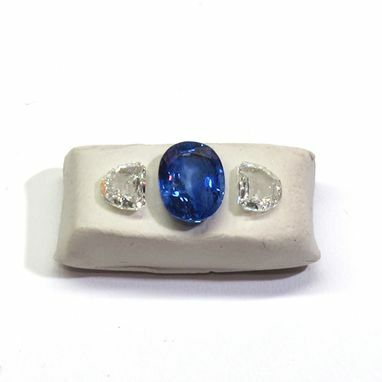 Sapphire and diamonds total cost are $3,500.00 Mounting or setting are in addition to this cost. 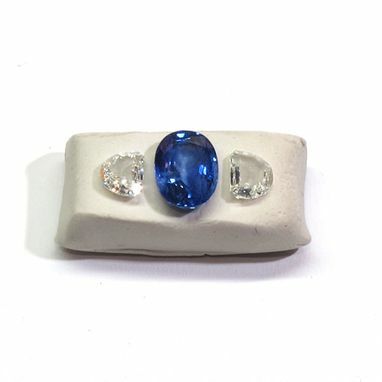 Sapphire has a GIA report with country of origin specified. Colorless diamonds are not certified.